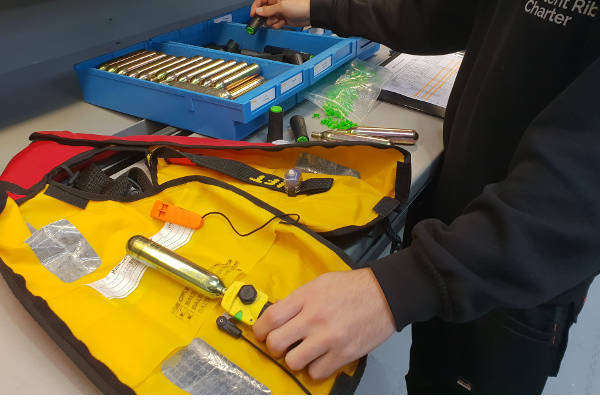 With a fleet of over 26 vessels, there is a vast array of equipment for the boats that needs to be checked and maintained through the year. 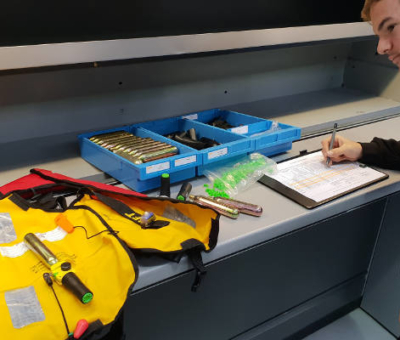 Our in house operations team have been put through various training seminars and workshops to ensure that they are completely up to speed with all the equipment used in conjunction with the boats. Trailer servicing kicks of the busy maintenance season during the winter period. 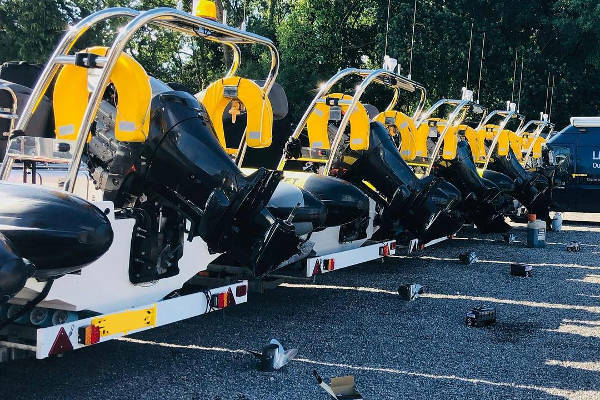 With 18 DeGraff boat trailers, 3 Flatbed trailers, 2 box trailers and 1 fuel bowser there are lots of wheels, bearings, hubs and brakes that need to be in top condition. 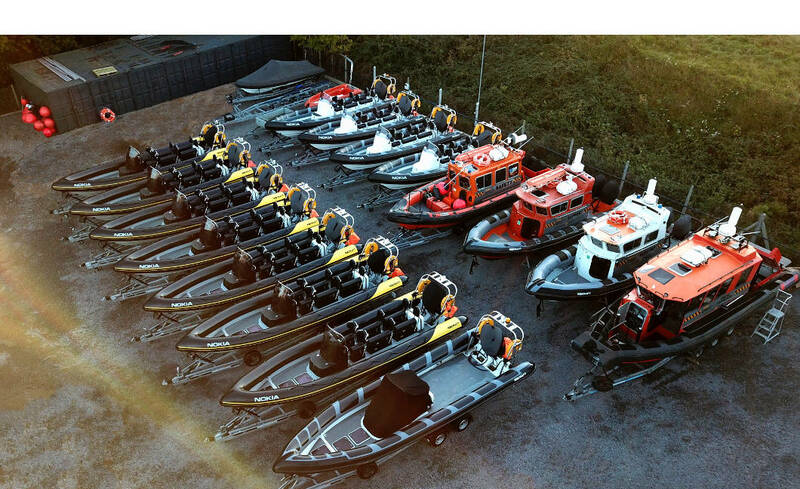 Commercial Rib Charter are regularly tasked to mobilise around the UK and over Northern Europe, the reliability of our road going equipment is paramount. Our operations team have been professionally trained and now work through a comprehensive refit schedule for each trailer. On top of this annual service and prior to any deployment, the trailers will be given preliminary checks to ensure they meet our high standards. 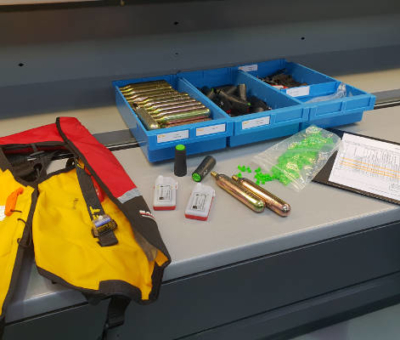 In the unlikely event that we do suffer a trailer break down during mobilisation, our trucks are fully equipped with a comprehensive service kit which can get us back up and running within just a few minutes. One of the most important and most used pieces of equipment on board our vessels has got to be the life jackets. 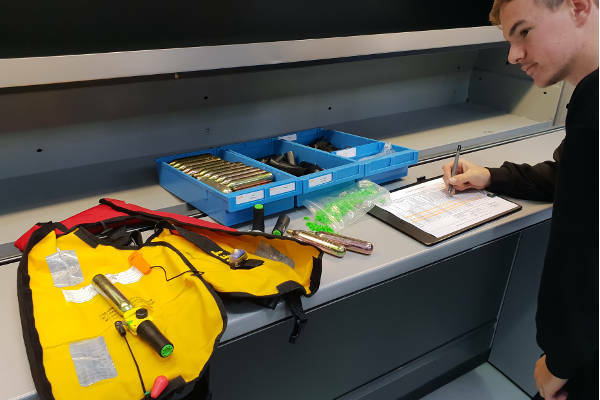 It’s imperative that these are kept in good working order and although they have an annual service, we need to ensure they are regularly checked to guarantee that they will work if needed. 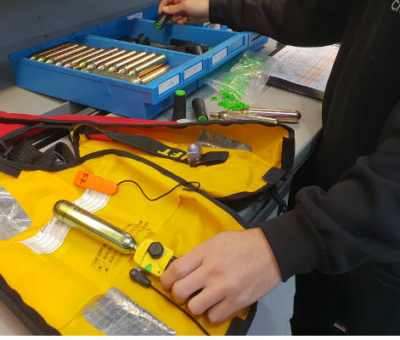 Having close to 300 life jackets to maintain, CRC have invested in getting all the workshop team professionally trained and accredited by Baltic Life Jackets, meaning that we have the ability to service and maintain the 300 jackets in house without the need to outsource to a third party. Any breakdowns suffered in the fleet can have major consequences for us as a business and it can majorly impact on our client’s project. 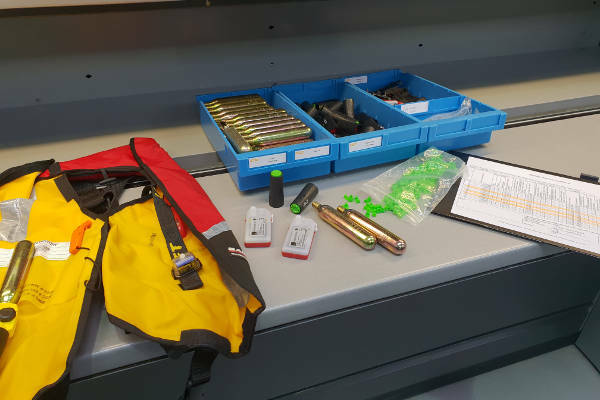 Its well know that CRC are regarded for supplying top quality reliable equipment to its customers, but what does happen in the event of an engine breakdown? Thankfully CRC are an accredited Suzuki dealer, meaning our team have received extensive training and guidance on trouble shooting, repair, servicing and even engine replacement. More often than not, any problems can be sorted over the phone, so long as our engineers are given a good description of the symptoms. If it hasn’t been resolved, we will dispatch one of our in house engineers with a comprehensive selection of spare parts. If the symptoms sound like a terminal problem, we will send our IVECO van with built in HIAB crane along with a trailer and spare engine, once onsite it usually takes our team about 2hrs to swap over an engine.